Thanks for Adding to the Conversation–But Could You Sit Down and Listen Now? 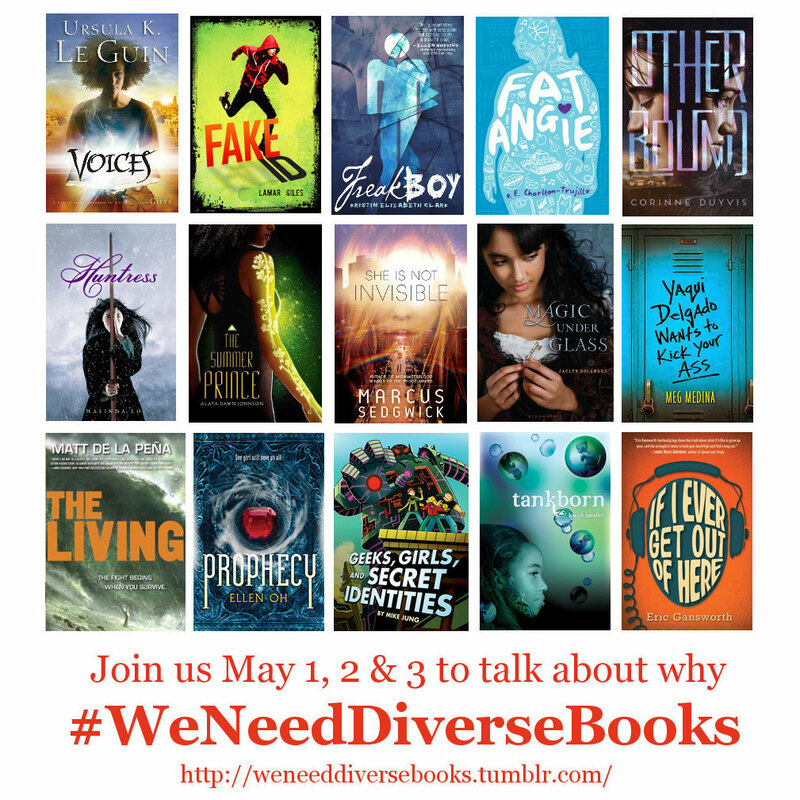 The first tweet featuring the #WeNeedDiverseBooks hashtag appeared on April 24th, 2014, and since then the campaign has exploded worldwide. The topic was trending on Twitter days before its official three day inauguration, with dozens of people answering the question: Why do we need diverse books? Those dozens became hundreds, the tweets surged into the tens of thousands and the number of impressions for the hashtag mushroomed into hundreds of millions. I’m very excited to be on the WNDB campaign team, and I’m thrilled at the attention we’ve been getting from media and like-minded people everywhere. But there are some among us that I’d like to have a little conversation with. First off, a declaration–I’m white. More specifically, I’m a white author. I’m not rich and famous like @realjohngreen or @_SuzanneCollins, but I’m multi-published. And a few of my published books feature main characters of color. 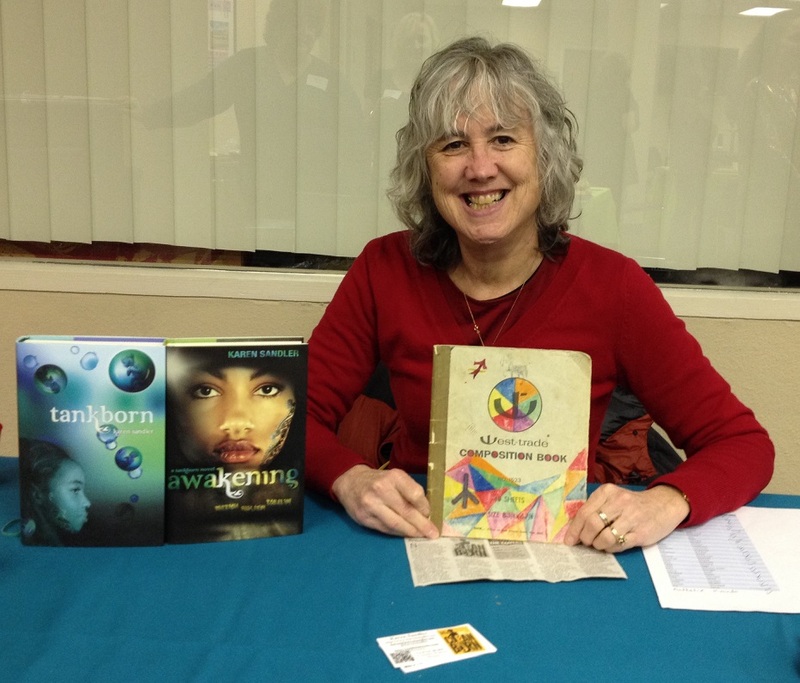 So you might think I’m on Easy Street being involved with the #WeNeedDiverseBooks campaign. That I have this giant platform to stand on to trumpet to the world about my books. That I might not be rich and famous now, but I will be soon because I can slap that #WeNeedDiverseBooks hashtag onto the three hundred Twitter posts I’m planning to tweet, complete with “buy links” of my diverse books. Erm…no. I have not used that hashtag to promote my own books, nor do I intend to. And here’s where I have to have a little conversation with all you fellow white authors out there. Please stop. Don’t do that. Number one, you’re white, and a big part of the WNDB campaign is to support and encourage diverse authors, not just diverse books. Number two, you’re white, and while I don’t know this for certain about your particular book, there’s a possibility that you have not done your homework and even with the best of intentions, what you think are diverse characters are actually full of offensive stereotypes. And number three, no matter who you are, as unseemly, tacky, and distasteful as it is to go around blaring to the world on Twitter that people should go out and buy your book, it’s even more unseemly, tacky, and distasteful to do so in the guise of being a supporter of diversity. Because the way so many of my fellow white authors jumped in, I had to wonder just how important diversity was to them before #WeNeedDiverseBooks made such a big splash. Whether they’d been on the diversity soapbox for years like Ellen Oh and Malinda Lo. Whether those white authors show their support of diverse authors by buying their books, or if they just saw a topic trending on Twitter and jumped right in to take advantage. Maybe the white authors I saw tweeting about their “diverse” books weren’t as opportunistic as they seemed, jumping on the bandwagon of a successful movement. If nothing else, the campaign has certainly demonstrated that there are people of good will everywhere. All those eager promoters might just be people passionate about diversity. Either way, I beg of you, white authors. Tout your book on Twitter if you must. But, please, please, leave off the #WeNeedDiverseBooks hashtag. This entry was posted in Books, Strongly Held Beliefs, The Writing Life and tagged #weneeddiversebooks. Bookmark the permalink. 12 Responses to Thanks for Adding to the Conversation–But Could You Sit Down and Listen Now? Are you kidding? It’s inspiring to other authors, white or of color, to see that white authors have written diverse books. It helps other new authors broaden their horizons. It shames in a good way those authors who have not ventured into territory other than what they know though the prism of their own experience. Authors! If you’ve written a diverse book? Show it off! Gently. That doesn’t mean turning every public post into a marketing opportunity. But get it out there. We can handle it. Thanks for commenting. I do agree with you that it’s a good thing that white authors are willing to write diverse books. And I appreciate your suggestion that they “show off gently.” I was mostly talking to those authors who seemed to jump on the WNDB bandwagon more for their own benefit than because they championed diversity. I’m a little uncomfortable about other authors, particularly authors of color, being “inspired” that a white author wrote a story with diverse characters. I’d rather see more authors of color being published and inspiring new diverse writers. No discomfort here. Every author should be inspired by every other author, at all times. It is a hard thing to write any book. Anyway, one good thing about the new publishing reality: any author can get anything published, and books can catch on whether supported by the Book Publishing Establishment or not. Everything can go viral…including a great diverse read. The fact is, the Book Publishing Establishment only puts marketing dollars behind Big Names, or Sure Things (where, for example, movie rights have been pre-sold). Midlist, downlist, and new authors are pretty much on their own. Black, white, Latino, Asian, or Martian. Actually, the Martian probably has the advantage. S/he has a great personal story to tell on the Today show. Publishing is a tough business, that’s for sure. Unfortunately, writers have been hit over the head with the social-marketing hammer so often that many just can’t help but insert their sales pitch into every hashtag and blog comment (I have nothing to sell at the moment). I am in agreement, though. We should promote the works of diverse authors if for no other reason that we’re sick of reading about people just like us. I’m as conservative as they come, and I won’t argue that the diverse among us have had to work a hell of a lot harder than the rest of us to get a job, get elected, or publish a book. We can argue (or, preferably, debate over a beer) who or what is responsible, but the end results are clear. There are much better writers than me out there, and they may get held back for the wrong reasons. When writers stop demanding justice, justice will die a quick death. Thanks for extending your neck over the chopping block of public opinion, Karen. God bless. Ron, you have totally, totally made my day. God bless you too. Karen, I wish you think about blogging on the larger issue. That is, the unreasonable expectation that big publishers can or should be responsive to anything but market forces. I mean, it would be nice for McDonald’s to offer wheat grass shakes, but the chances of that happening are nil until wheat grass shakes seem to be making market inroads on their own. Publishing houses are not university presses, and they should not be. It’s better for writers of all strains and identities who have hit a roadblock at traditional publishing houses to self-publish books of all kinds — I guess “diverse’ books count here — that can’t get a regular publishing deal. Then, aggressive promotion (there’s that word again! ), quality, and especially word-of-mouth can make the needed difference. I think of the African-American writer Darlene Johnson (www.darlenejohson-online.com) who self-published her first book. Word of mouth and sales were so good that the book was picked up by a Random House imprint. Thank you very much this blog and this forum. I wholeheartedly agree that it’s diverse authors who should be promoted first and foremost, not diverse characters, and thank you very much for making the post even though it is not in your interests! But I’m a bit confused – while I understand your point, there are plenty of white diverse people, for example all the white QUILTBAG authors, disabled authors, etc. I as a multiply marginalized person would be interested in hearing about their books too under the hashtag. (Indeed I’ve just gotten Swordspoint.) Maybe it would be better to focus instead on “the majority” or “non-marginalized authors”? Pointing at white people also kind of centers white people again, when there is no real reason to do so…? Bogi, I was writing this from my own perspective: a white, straight, able-bodied author. I was speaking to authors also from my majority group and was expressing my points of view only as an individual rather than as someone who is part of the #WeNeedDiverseBooks campaign. WNDB has spoken quite clearly that diversity goes beyond skin color and includes other non-majority groups such as QUILTBAG and disabled authors. The first line of our mission statement reads: “We Need Diverse Books is a grassroots organization created to address the lack of diverse, non-majority narratives in children’s literature.” So the group (as well as me personally) wants to address diversity of all kinds. This post was just me venting about an issue I felt strongly about. Karen, this post is pretty freaking awesome. Folks might take umbrage with it, but as a woman of color who has been writing and publishing her own work for quite a while, after being told by multiple publishing houses and agents that my book was great but they couldn’t market it (huh? POC don’t read? And white folks don’t ever read books with some POC in them? ), I’ve gotta say your post is a breath of fresh air. Rock on with your bad self. Thanks, Madhuri. I did get some flack on this post, which is why I went to moderated comments and no more anonymous posts. The whole “there isn’t a market” excuse makes me crazy too.